The concept of cosmeceuticals (contraction of cosmetics and pharmaceuticals) first emerged in the United States in 1997. Cosmeceuticals are biologically-active formulations with a high concentration of active ingredients, much higher than traditional cosmetics (meaning they pose a higher risk of irritation or intolerance). They are extremely effective for fighting the signs of aging and are prescribed by aesthetic doctors to potentiate their treatments, both to prepare the skin prior to treatment and to repair and maintain it afterwards. Though they are not classed as medicines, cosmeceuticals are formulated in the same way as pharmaceuticals and are subjected to rigorous clinical trials. Correction from age 35-40, to correct wrinkles, skin sagging, marks, etc. Laboratories tend to develop combinations of molecules, because one individual molecule cannot correct all the signs of skin aging. Sunscreens: Their protection factor must be proven by in vitro and in vivo tests. Laboratories often alter their texture, fragrance and galenic to encourage people to use them properly. The phrase “sun block” often leads to confusion, and is now banned from use. Antioxidants: Prevent cell oxidation, reduce inflammation – which causes collagen damage – and protect the skin from the sun. Key ingredients: vitamins (A,C,E), ubiquinone or Coenzyme Q10, green tea or grape seed polyphenols. Vitamin A (retinol) and its derivatives, such as retinoic acid, reduce wrinkles and sun spots. They are also effective at fighting acne. Hydroxy acids: These are fruit acids that improve the skin’s texture (peeling effect) and pigmentation issues: glycolic, malic, tartaric and lactic acids, etc., which are also found in aesthetic peels. Used to prepare the skin prior to surface treatments (peels, lasers, radiofrequency) and to prolong their effects. Depigmenting agents: These are hydroquinone, kojic and azelaic acids, arbutin, glabridin, liquorice extracts and vitamins C and B3. The latter reduce hyperpigmentation and improve the appearance of lentigos and pigmentation marks. NAG (N-Acetylglucosamine) reduces the signs of sun damage and hyperpigmentation. All of these molecules repair the skin and prolong the effects of depigmenting treatments such as peels, pulsed light, etc. Topical peptides: These are made from amino acids. KTTKS, for example, induces collagen production in the dermis. Botanical agents: This is the largest group of additives on the market. They are popular because they appeal to the ecologist in us, but they must have been proven to be both effective and harmless (allergies, irritation). The future of cosmeceuticals is assured by the exponential demand for anti-aging products, caused by an aging population. This is why aesthetic doctors must stay up-to-date with the most recent products to adapt their treatments on a daily basis. 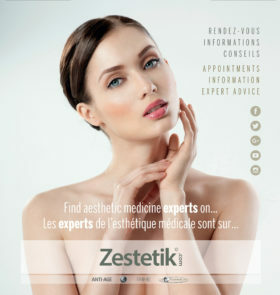 Surgeon of the face and neck in Nantes, specialising in aesthetic surgery and aesthetic medicine for the face and neck. 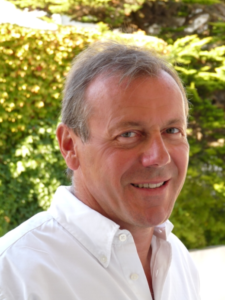 Member of the French Society of Plastic and Cosmetic Surgery of the Face and Neck, member of the World Society of Anti-Aging Medicine (WOSAAM).